Genuine Emax 20 aMP BLHeli Series ESC for Brushless Motor. 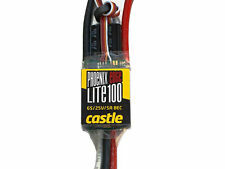 Very popular 20 Amp ESC for multi-rotor copters. In 99% of cases we achieve this. If you are not happy with your orderneither are we. Firmware : BLHeli_S 16.5 with DSHOT600(default)/150/300, Oneshot 42 & Multishot support. 1x 35A 4in1 ESC with BLHeli_S DSHOT. 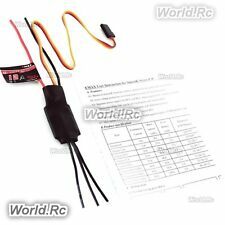 This ESC support up to 6S LiPos. 2-6S support with 35A continuous load and 40A burst (10 seconds). Constant Current: 40A. Simon K firmware, further optimized to perfect drive performance. Equipped with built-in BEC. BEC: 5V / 0.5A. SKU: 51_B1000451004891. Maytech brushless ESC with BEC (battery elimination circuit). For connection to a computer, a compatible USB serial adapter is also needed; these are readily available online. There are also sketches which allow an Arduino board to be used. Racerstar RS20Ax4 20A 4 in 1 ESC. 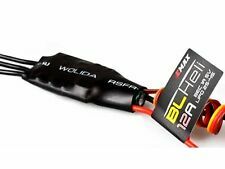 1x Racerstar RS20Ax4 20A 4 in 1 ESC. Supports oneshot42 multishot. Model : RS20Ax4. Continuous Current : 20A. Panasonic 1000uF 25V Low ESC capacitor. 4 in 1 ESC, more easier to install. Supports Dshot600, Dshot300. 5 x XSD 3-4S ESC 20A BLHeli_S. 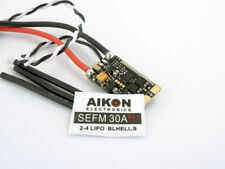 Supports Motors with super high KV (EFM8BusyBee 50 MHz can handle up to 500 k eRPM). BLHeli_S does Damped Light only. Weight: 4.32 g. Type: BLheli_S & Dshot600/Dshot300. Genuine Emax 12 aMP BLHeli Series ESC for Brushless Motor. 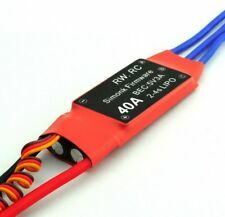 Very popular 12 Amp ESC for multi-rotor copters. In 99% of cases we achieve this. If you are not happy with your orderneither are we. All the ESC's & power you need to get your KINGKONG drone working or for that matter any drone! uBEC Specs 1 x UBEC 5V 3A. 4 x 12A OPTO ESC. ESC Specs 1 x ESC PC Software Communication Adapter. AFRO wiped the slate clean and looked to the RC community for inspiration and help in designing an ESC that. Hobbyking in house engineering team gave us the edge needed to develop an ESC like no other and hence the Afro series was born. This combination of hardware and firmware expertise in conjunction with the Hobbyking in house engineering team gave us the edge needed to develop an ESC like no other and hence the Afro series was born. Mini BS20D 20A 2-in-1 ESC Blheli_S 20x20mm 2-4S ESC. 1x BS20D 20A ESC with BLHeli_S. Firmware : BLHeli_S with DSHOT150/300, Oneshot 42, Multishot support. Supports regular 1-2ms pulse width inputs, along with OneShot125, OneShot42, and MultiShot. DJI brushless 18 amp OPTO ESC. The DJI E1200 640S ESC's have the latest sine-wave drive technology, this enables the ESC's to increase power efficiency by capturing energy produced during the deceleration of the motor, this active braking provides a better dynamic response from the multi rotor system. HobbyWing is well known for their quality ESCs with many competition wins, great performance and stringent QC from Cars, boats, aero and now a purpose built Multirotor ESC. 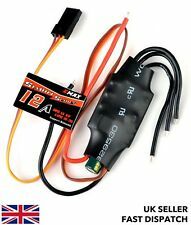 HobbyWing X-Rotor 10A 2-3S OPTO ESC For Drones Multi-Rotors. Very much like Emax ESCs. Constant Current: 12A. RPM: 240,000rpm for 2 Pole Brushless Motor. In 99% of cases we achieve this. If you are not happy with your orderneither are we. 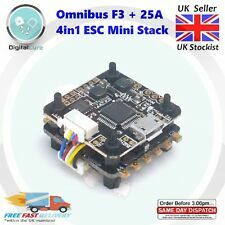 This 4 in 1 ESC is designed for 250 racing quadcopters, allowing a much neater setup and easier build by putting all 4 ESCs on a single board. -Smooth power response with premium high efficiency N-channel FETs, high power handling with no need for a heatsink. Based on BLHELI firmware, futher optimized to the perfect flying performance. Firm Ware: BLHELI. NEW Favorite FVT Little Bee Spring 30A 2-6S ESC BLHeli_S DSHOT & Damped Light. Support Damped mode. Constant Current: 30A. The efficient and responsive algorithm provides your platform with the highest levels of manoeuvrability and stability. Cabel Length 420 mm. Allowable Peak Current (3 Seconds) 30 A. Size 54 × 24 × 9 mm. Castle Talon 15 ESC from a Blade 180 CFX. See pictures. CC11100 : Phoenix Edge Lite 100. Midland Helicopters are one of the longest established model helicopters specialists in the world. Add to Favourites. We will take great care to ensure that you receive your goods in perfect condition. CC12200 : Talon 35, 25V 35 AMP ESC, With Heavy Duty BEC. It boasts a 7 amp peak/5 amp continuous BEC, keeping even the most draining servos at ease. The compact layout and thin profile make mounting Talon 35 simple and stress-free in any setup. 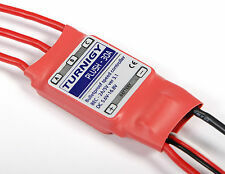 R/C Plane /Heli/Drone Favourite 12amp Sky3 2-3s Lipo 5volt With 1amp BEC.